Johnny Depp and Amber Heard’s divorce has been finalized after months of wrangling over the final terms of the break up. The 53-year-old Hollywood star has agreed to pay Amber Heard $7 million, which the actress says she will donate to two charities. 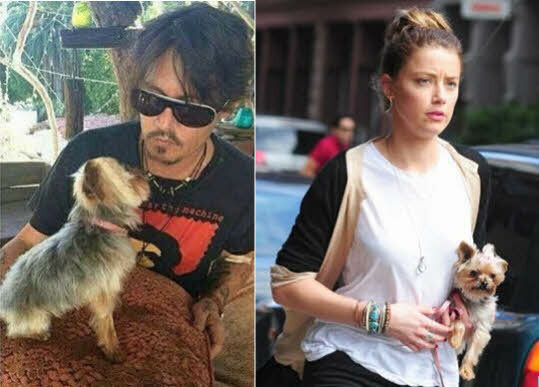 Amber Heard, 30, will get to keep the couple’s dogs, Pistol and Boo, who were at the center of scandal when she took them to Australia illegally in 2015. She had accused Johnny Depp of domestic abuse – a claim he denies. According to court documents, Amber Heard said Johnny Depp had been physically abusive to her, culminating in him throwing a mobile phone at her face during a fight in February 2016. Johnny Depp’s lawyer denied the allegations, saying Amber Heard was “attempting to secure a premature financial resolution by alleging abuse”. Police officers attending the scene said they had found no evidence of a crime. Amber Heard had filed for a restraining order, but this was dropped after the majority of the terms of the divorce were settled in August. The divorce was only finalized this week because lawyers could not agree over whether Johnny Depp should make the payments directly to the charities or not. Amber Heard said she would donate the money from the divorce settlement to the American Civil Liberties Union (ACLU) and the Children’s Hospital of Los Angeles. Johnny Depp’s lawyer, Laura Wasser, said they were “all pleased to put this unpleasant chapter in Mr. Depp and his family’s lives behind them”. Amber Heard and Johnny Depp, who have no children together, were married for just under 18 months when they split in May 2016. Johnny Depp has two children from a previous relationship with Vanessa Paradis.